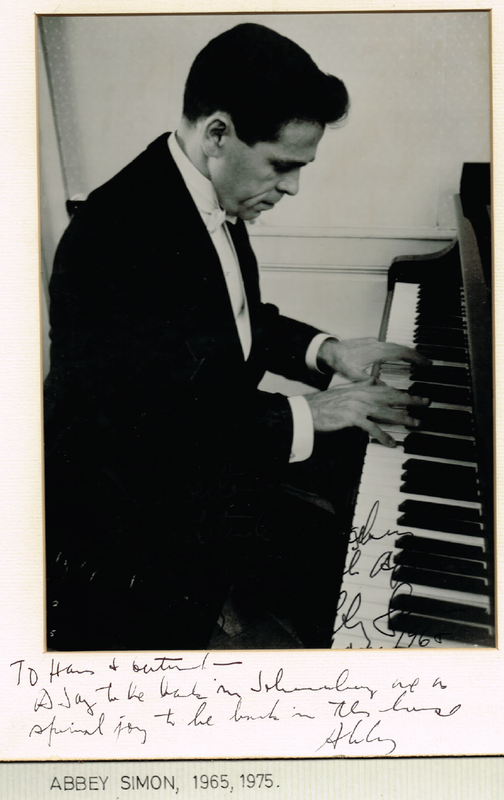 Celebrated musicians' concert tours of Southern Africa 1953 -1978: 1965 on - Abbey Simon, American Pianist. 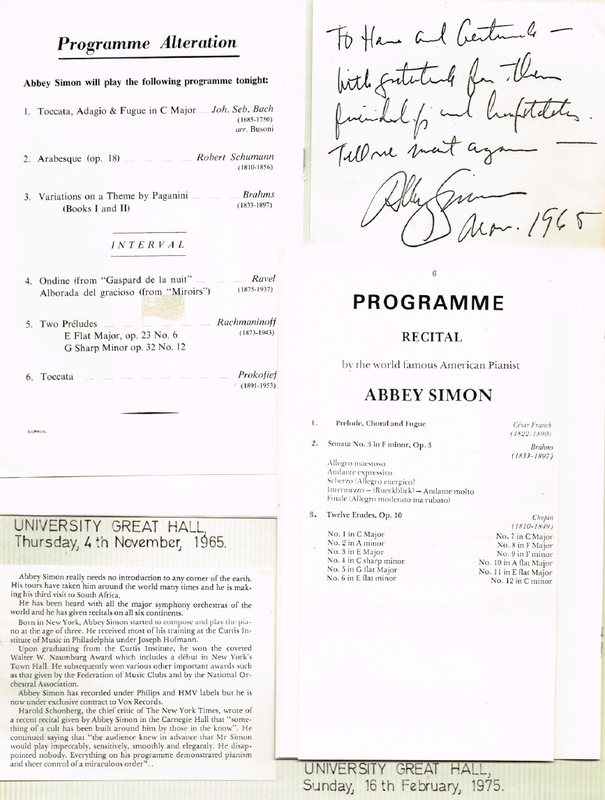 Abbey Simon, world famous American Pianist. 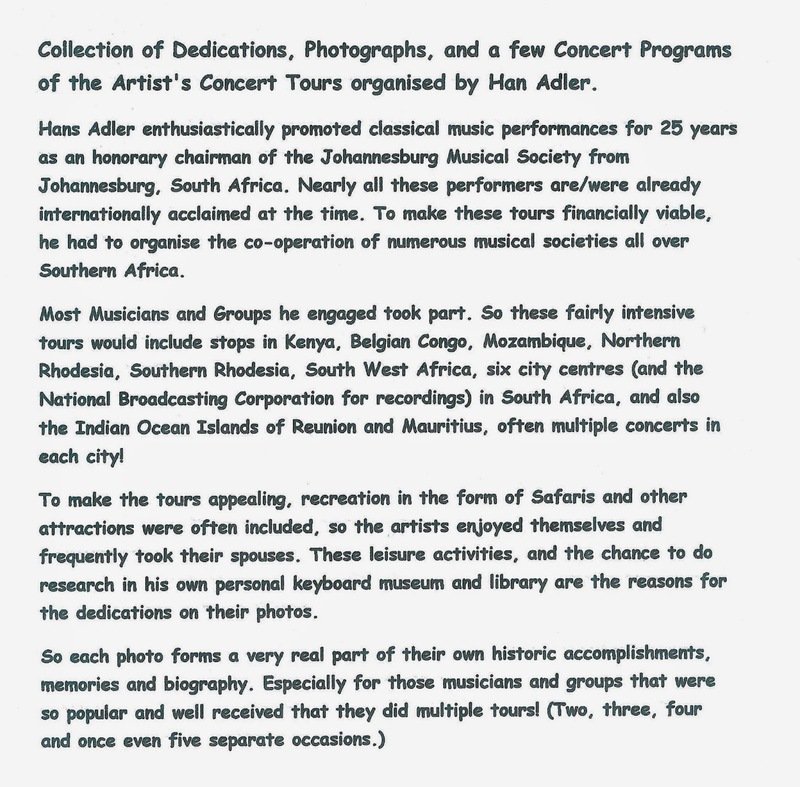 Two celebrated tours.